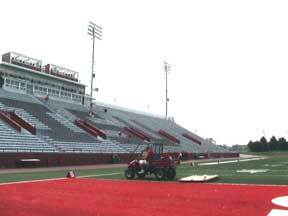 We're live from Hancock Stadium on the campus of Illinois State University in Bloomington-Normal, Ill. The show starts at 7:30 p.m. central time. The weather doesn't look good for us tonight, but it's drum corps so the weather gods will look after us!